Many organisations have already been affected by the EU referendum, both in the run up as uncertainty forced decisions and programmes to be put on hold to after the result, and now as we face an uncertain future. What we do know is that currently we are still in the EU and will remain so for at the least the next two years. This means that we can continue to trade in the single market, recruit EU workers and EU legislation still affects us. However, any forward-looking company knows that it’s not a simple as that. Although it should be business as usual, the dip in confidence means that programmes and decision may still be on hold, and business leaders need to prepare for a post-Brexit landscape. First steps should be to review your department and organisations’ exposure to Brexit. How is it / will it impact on what you do and how you do it? Does it mean changing the business’ strategy and if so how can IT help deliver new business objectives or support change and transformation within the organisation? IT directors will then need to align their team with new strategies and new business objectives. If your IT department is reliant on EU migrants there are likely to be significant changes ahead. While we don’t know what the status will be for EU workers currently in the UK, we know that this uncertainty is likely to result in some employees looking for alternative employment and will make recruiting from the EU more difficult in the interim. Therefore, it is vital that IT directors look at ways to retain their top talent, and develop talent pipelines for the future. This may involve apprenticeships, training and promoting from within, exploring other regions for recruiting IT professionals, and outsourcing to IT providers – and letting them worry about staffing and recruitment. As we shared in our post earlier this year on new EU data protections laws (read it here), leaving the EU will not necessarily mean companies will no longer need to comply with EU legislation. In the case of GDPR any company who holds data on individual’s resident in the EU will have to comply; and as this legislation takes effect in May 2018 – when we (the UK) will still be in the EU. Depending on the data held and the nature of the company’s business, IT directors will need to assess the impact of Brexit on all areas of data protection and cyber security to ensure that they comply with UK and global regulations. Many organisations were forced to adopt more agile business models as a result of the global recession. Agile businesses are able to respond quickly to changes in the market, and counter external and internal changes immediately. Brexit is certainly an external change that needs a rapid response to enable businesses to remain competitive. IT is a function that is ideally suited to an agile model – allowing businesses to scale up or down their IT requirement as a response to market changes or changes in the direction of the organisation. Now is a good time to look at legacy systems and infrastructure to see whether these are costing the business more than they should, and find cost savings by using agile tools such as outsourcing. Virtualisation or cloud services may also offer cost savings, as large hardware purchases are often base line priced in US$. 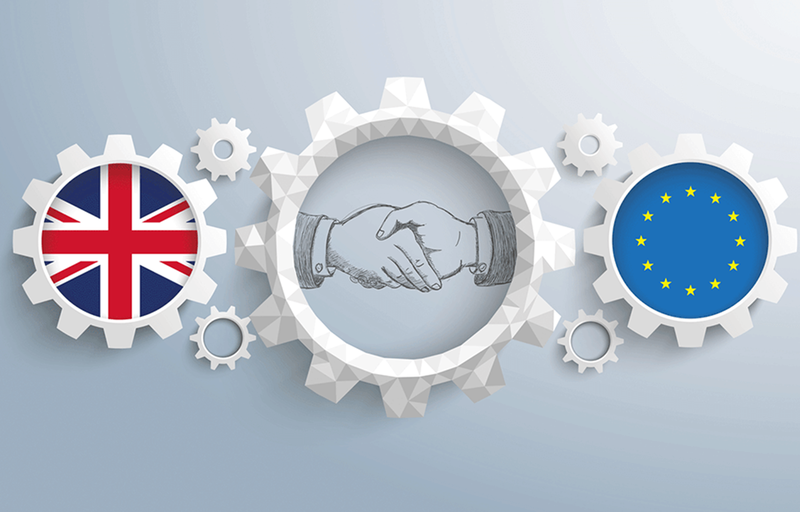 While UK companies have an interesting few years ahead, our competitors in other parts of the world will not be as severely impacted by Brexit – if at all. Therefore, it is essential that we continue to innovate and look for opportunities as well as threats. This may require a more creative use of IT budgets to drive new programmes through by finding cost savings in other areas, such as help desk. Again the agile outsourcing model is one way you can free up your internal IT team to focus on proactive activities for the business, rather than using their valuable time for reactive tasks like incident management. While many business leaders are currently focused on the threats posed by Brexit, there are opportunities too. Your IT team is an integral part of whether your organisation can seize those opportunities and respond positively to changes forced on it by the Brexit result.